Charles E. Crutchfield III, M.D. is a graduate of the Mayo Clinic Medical School. Dr. Crutchfield is a Board Certified Dermatologist and Clinical Associate Professor of Dermatology at the University of Minnesota Medical School. Dr. Crutchfield conducts active psoriasis research (he has a Master's Degree in Molecular Biology) and has recently received a United States Patent on one of his psoriasis treatment medications. Dr. Crutchfield lectures locally and nationally on the treatment of psoriasis. When other medical students, dermatology residents and physicians learn about psoriasis, they are often learning it from Dr. Crutchfield. 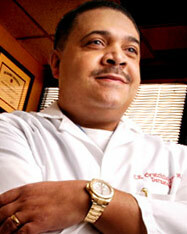 Dr. Crutchfield also treats many physicians and nurses with psoriasis. When other Twin Cities' healthcare providers need psoriasis treatment, they often choose Dr. Crutchfield. We are happy to share that Dr. Crutchfield is recognized in the Minneapolis-St. Paul Magazine "Top Doctor" issue for 2004-2005. Now that you know a little bit about Dr. Crutchfield we invite you to take a look at our results. Below are pictures of just a few of the many happy patients we have treated at Crutchfield Dermatology. I just love your skin lightening pads. After my acne treatments, they have evened out my skin tone and boosted my self esteem 100%. My mom says I look great!